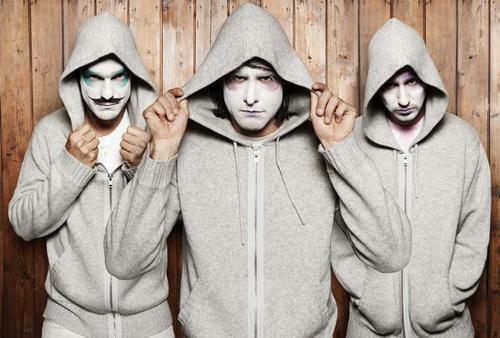 Swedish band Miike Snow was formed a couple of years ago in Stockholm and took the world by storm last year, becoming one of the most blogged about bands of 2009 (see what we wrote about their single “Animal” here). The band consists of American singer/songwriter Andrew Wyatt, and composers/producers Christian Karlsson and Pontus Winnberg, also known as Bloodshy & Avant. Their eponymous debut album was released in 2009 to much critical acclaim and the band has since been touring and sharing bills with acts such as Digitalism, The Ting Tings or MGMT. Their new single “Silvia” drops today, January 25th, and comes with glorious remixes by Sinden, Hugg and Pepp, Robotberget, etc… Check out the video HERE. Haha, I agree wit you guys. It’s WICKED!